Capture NX is a new consumer photography application. 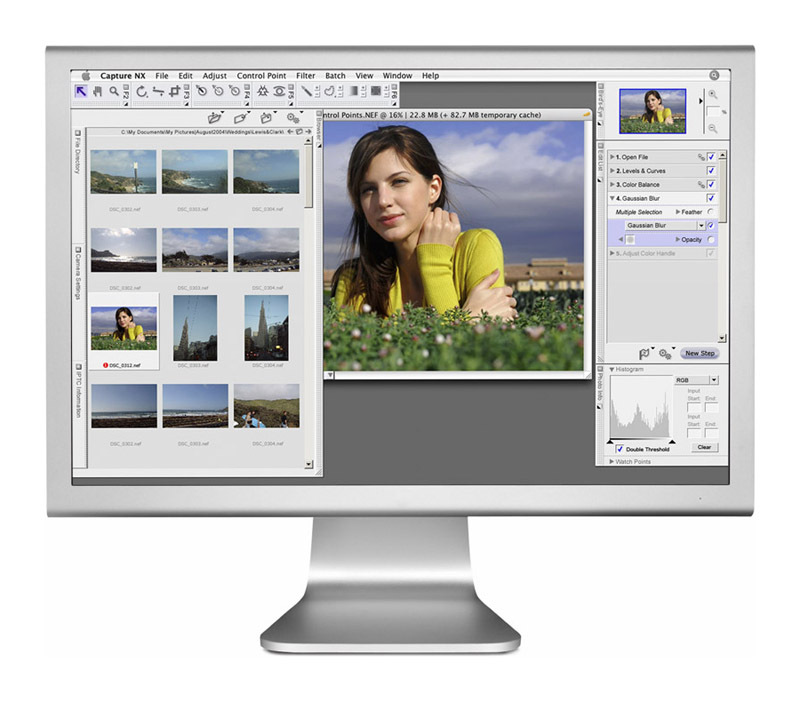 Designed to offer a powerful and easy to use alternative to established image editing applications such as Adobe Photoshop, Capture NX offers non-destructive editing of NEF raw files (an increasingly popular file format for photographers). 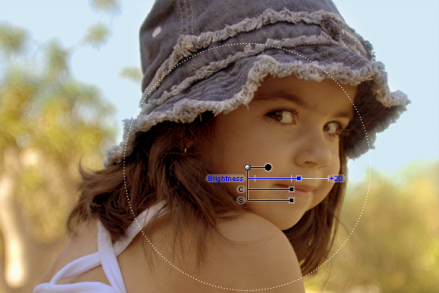 Capture NX also offers a unique new technology called U Point, which is featured in the center of the screen capture below. U Point allows photographers to apply subtle enhancements to areas of any JPEG, TIFF, or NEF (Raw) image. By simply clicking a Control Point on a selected area, a variety of local adjustments can be made in a file. The effects are subtly blended with other adjustments to provide a natural looking result. A photographer can create multiple control points to isolate areas of an image and provide multiple types of adjustments in a single image. We worked with Nik Software and Nikon to design the interacton and visual appearance of this desktop application.